Hello Halioners. I've recently been evaluating the Halion 6 demo as my possible new main sampler, and I must say that I really enjoy the sound designing features of it thus far. 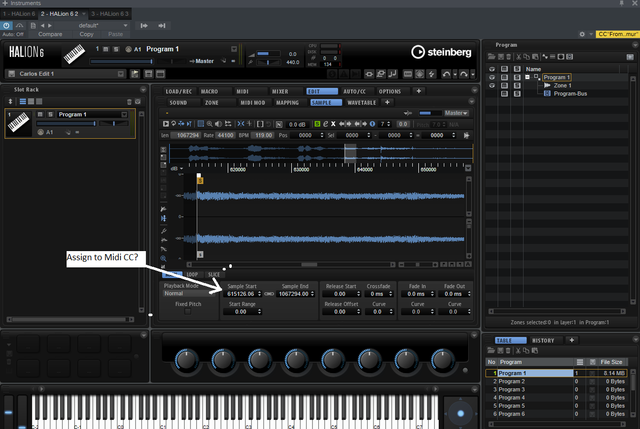 However I am quite saddened by the fact that I have not yet found a way to automate the "Sample Start" point of the sampler with Midi CC. I am an avid Liine Lemur user and I would love to control Halion via Lemur. Without the option to control "Sample Start" though, it really takes away the fun for me. 3 So the knob is now functioning in the macro page, and I can control the sample start! Sidenote: I am at the moment achieving sample start automation with Ableton's Sampler, but seeing as I prefer to work in Studio One, the Rewire method is just taking a big toll on me. 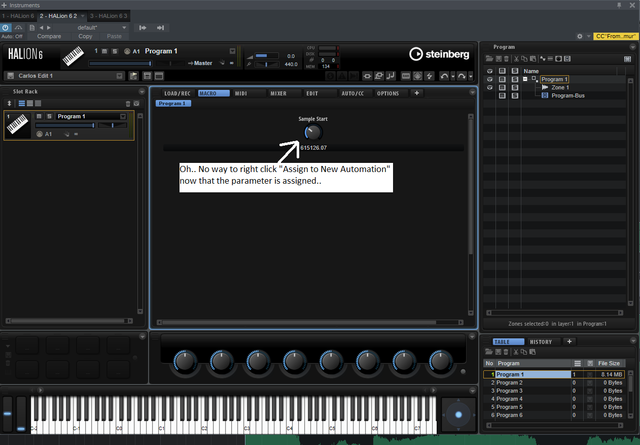 Having multiple Daws, multiple projects per song etc. Why not do it in the matrix? 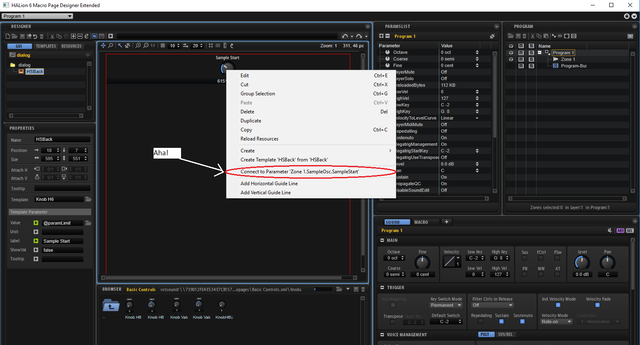 Then you have to set the range that sample start automation can be applied to on the sample page and BINGO. Here is a quick and dirty demonstration (no voiceover) of how to setup sample start modulation in HALion 6, using a Quick Control in the matrix. Thanks a lot! Worked like a charm!